"If we can forecast the petrochemical cycle, we can earn a shitload of money! " Enthusiastic Business Unit Director in Leverkusen after hearing a Flostock presentation. Dennis Rijnders, Business Manager DSM Food Specialties. Spontaneous comment after CEPE conference in Sevilla. Steven Craigh after Logichem conference in Dubai. Flostock is a consultancy firm with its main focus on the manufacturing industries in Europe. Demand for upstream companies is ultimately determined by expenditure in the downstream end markets. But, the supply chain in between acts as a buffer. If we can capture the behavior of the supply chain in a model, it is possible to translate expenditure in downstream markets, such as construction or automotive, into upstream demand. The stock building of firms in the supply chain is for a large part based on the variations in downstream demand. The Flostock models take this stock building behavior into account. Flostock Stock & Flow Analyses was founded in 2011 by Robert Peels, who as strategy director for Royal DSM had published a series of articles around the causes for the enormous dip in the manufacturing industry during the financial crisis, many of them together with professor Jan Fransoo and Maxi Udenio of Eindhoven University of Technology. Maxi Udenio, MSc, expects to finish his PhD on this subject in 2014 and become assistant professor at TU/e. Peels, Fransoo and Udenio together also developed a method of model building, as described in their publications. The black line is the long term economic curve with a wavelength of multiple years. When Lehman Brothers went bankrupt a shock went through the world and everybody started de-stocking at the same time. Companies higher up the chain experienced this as cumulative de-stocking of all the players between them and the end-market. This curve we have called the “Lehman Wave”. Because it is a wave, with a wave character, it can be described and its cause can be predicted. The Flostock team consists of a flexible network of independent, experienced consultants that is adapted to demand. For extra large assignments the team is expanded with specialists from our partners, established logistical service providers in the fields of modeling, market research, project management, gaming, strategy and logistics. Click here for more background on the team and click here for more info on our partners. Flostock has an ongoing cooperation with Eindhoven University of Technology. The large impact of stocks became clear when the financial crisis broke out after the bankruptcy of Lehman Brothers on 15 September 2008. The resulting peak in the Libor interest rate caused a massive reduction in credit and a cry for Cash is King all over the world. Companies started on mass to reduce their stocks (so-called Active de-stocking, causing a so-called Lehman Wave. Companies high up the supply chains experienced a 40-60% reduction in sales, while their end markets were stable. 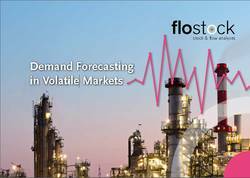 Flostock builds models based on System Dynamics principles, using the proprietary Flostock method. This allows us to build a simulation model in which we can include the inventory behavior across an entire supply chain. System Dynamics was described by Forrester in 1961 and more recently by Sterman in 2000. It should be noted that our models make a connection between the macro world (end markets economic indicators such as retail, automotive sales or building & construction) and the micro world (the demand at your level in the supply chain). Although many macro economists are allergic to this, we have found that we can get surprisingly good results. Flostock’s ideas have been published in many newspapers and journals, including the Financial Times, major Dutch newspapers such as NRC and Financieel Dagblad, the European Coating Journal, Chemistry Today, Ink World, EVO Logistics and ICIS Chemical Business. In October 2013 McKinsey publised an overview article about lessons from the crisis, in which Flostock's vision was prominently quoted. BusinessInsider listed our Lehman Wave article among the 8 business cycle theories that explain the current world. For an overview of all publications, see the publication list. Presentations have been given at numerous conferences, including Logichem (3x Antwerp, 1x Dubai), CEPE in Sevilla, SC Innovation Summit in Antwerp, ESCF in Eindhoven, ECJ in Berlin, ECCA in Brussels, Portorez Conference in Llubljana, EDPN in Amsterdam, ICIS Olefins in Amsterdam, Elastomers in Aachen, ACE Olefins in Amsterdam and the Dutch Central Bank. 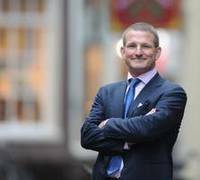 The Rabobank, Bank de France, Erasmus, Cambridge and the ECB quote our work. Eindhoven University, Wharton (Philadelphia) and MIT in Boston use our insights in their teaching. Flostock is a new consultancy with a concept that is so unique it already has been described in series of journals and newspapers, including the Financial Times and ICIS Chemical News. Our insights have been adopted in the curriculum of Wharton, MIT, and at least 6 European universities. McKinsey recently called our approach best practice in the crisis. We cooperate closely with the operations research department of Eindhoven University in the Netherlands. Our specialty is Volatility.